Who follows my blog knows how much I love tees and how often I post about it. That’s why every time I find a brand, a store, that’s has really cool shirts, I always like to share with you girls. Dear Tee is a Spanish brand that follows a young look with funny and stylish prints without forgetting the quality. This last detail is very important because believe me I´ve bought t-shirts and sweaters in the past that after the first wash were crap! The prints are super awesome but I have a big crush for the ones with Kate moss and the clown nose. Check some looks, I know Spanish bloggers are very familiar with the brand, and I also made a selection with a couple of tees and sweatshirts. 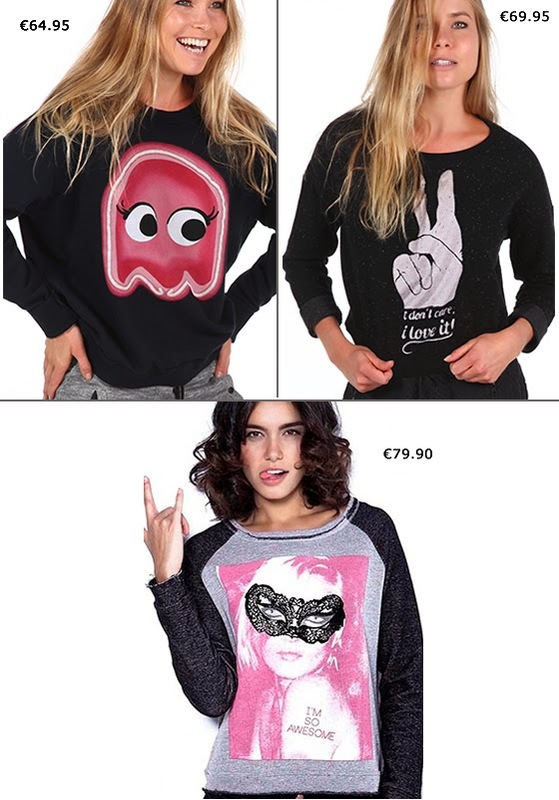 Cute tee's, most of all I like the red nose ones, they are just priceless. São um máximo! Adorei a do pirilampo! che belle che sono, come piacciono a me. Adoreeeeiii a da máscara. LINDA!!! adoro estas tee, são tão engraçadas e fofinhas! :) e dão logo charme a um look simples!